New 8th Gen Civic Si cables. We wanted to release cables and shifter at the same time but the cables were done a little quicker. 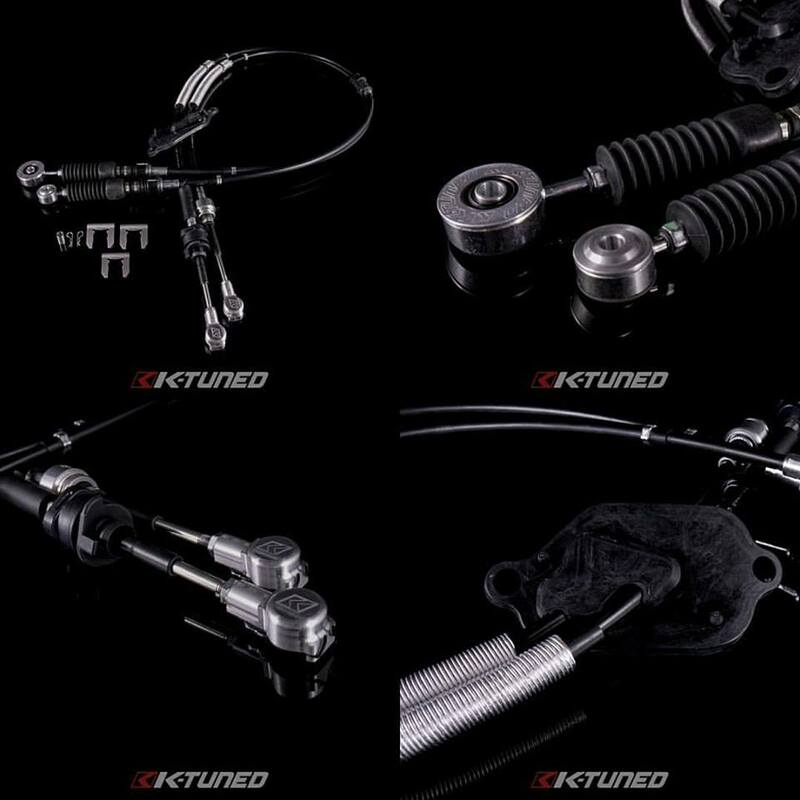 All cables feature spherical cable bushings and custom billet ends on the shifter side. We've tried to offer many of the features like stock by providing a rubber grommet and heat wrap. 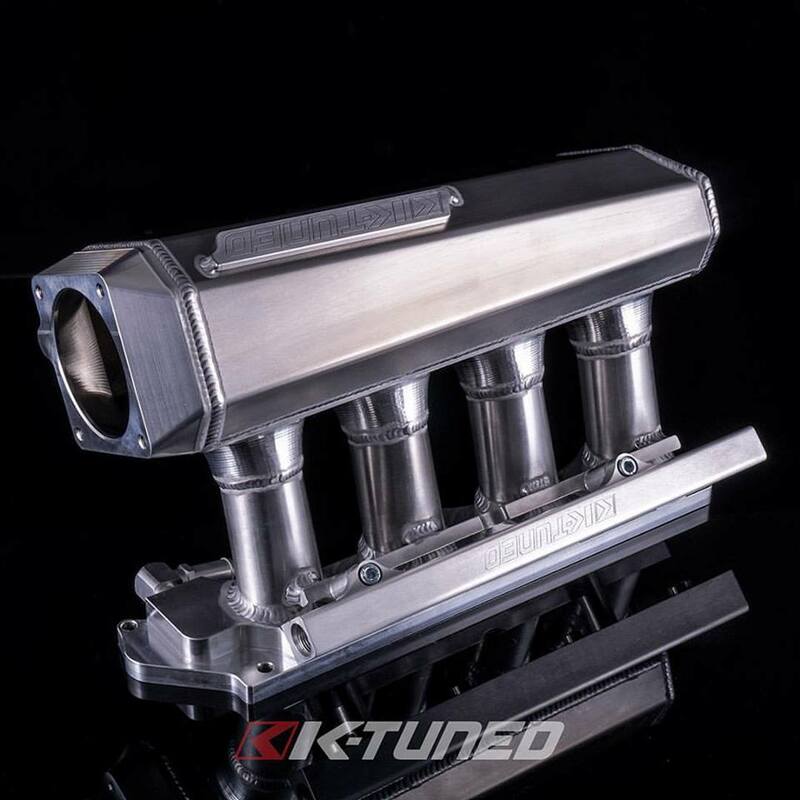 Oh snap... K-Tuned Intake Manifold now available. Made from sheet metal and aluminum and tested to allow proper fitment without cutting the hood and not hinder power. The huge 4.78L plenum fed from the large 90mm TB port makes great power on built NA setups and boosted cars. Precision CNC runners offer smooth flow with little drag. The manifold looks great and performs even better. Available in both K20 and K24 head flanges.